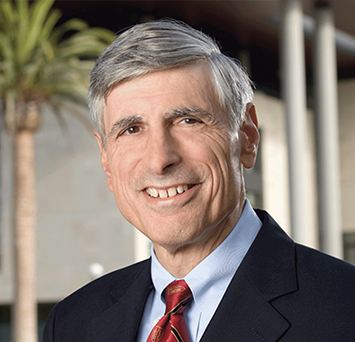 Philip Pizzo, MD, is the David and Susan Heckerman Professor and Founding Director of the Stanford Distinguished Careers Institute, and served as Dean of the Stanford School of Medicine from 2001 to 2012. He received his MD from the University of Rochester, and completed an internship and residency atChildren’s Hospital Medical Center in Boston. Between 1973 and 1996 Pizzo was at the National CancerInstitute, eventually serving as acting scientific director in the Division of Clinical Sciences. Before joining Stanford, he was the physician-in-chief of Children’s Hospital in Boston and chair of the Department of Pediatrics at Harvard Medical School from 1996-2001. Pizzo is the author of more than 615 scientific articles and 16 books and monographs, including Principles and Practice of Pediatric Oncology, the Seventh Edition of which was published in 2015. Pizzo has received numerous awards and honors, is a member of the Institute of Medicine, and serves on several international boards.